Rescue Han Solo from Jabba the Hutt's desert palace! At Jabba's Palace on Tatooine, Princess Leia is disguised as Boushh as she tries to rescue Chewbacca and carbonite-frozen Han Solo. Can she get past the roof-mounted missiles, defense guns and surveillance equipment to reach them? 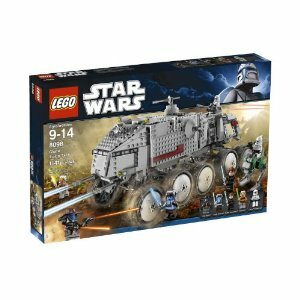 Or will Jabba and his motley band of followers capture the princess and entrap her beneath Jabba's sliding throne? 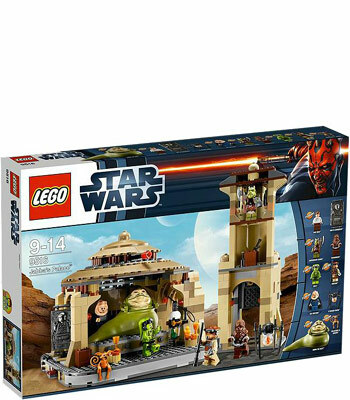 Includes 9 minifigures: Jabba, Salacious Crumb, Bib Fortuna, Gamorrean Guard, Oola, Han Solo, Princess Leia in Boushh outfit, Chewbacca and B'omarr Monk.